Michael Quinion, in his interesting World Wide Words website, recently discussed the word fescennine. For the pronunciation he follows the OED. Before I read this, though — not that it’s a word I’ve ever come across before — I would have expected it to be fɪˈsenaɪn. Why would that be, I wonder? The ending -ine is very variable, as we can see by comparing such everyday words as engine, bovine, machine and divine. Not only can its vowel be strong aɪ or iː or weak ɪ, ə, but its stress effects can vary, too. penultimate main stress in Au'gustine, Bene'dictine, laby'rinthine, Ale'xandrine, ada'mantine, ame'thystine, Rhada'manthine, hi'rundine. Byzantine, Levantine, vespertine, and no doubt others: there are large numbers of technical or literary words in -ine which are not widely known and so hardly have an established pronunciation. — but if I had to say this word I think I would go for ˌeməˈrældaɪn, following the Latin rule. Back to fescennine. I think it must have been the -nn- spelling that predisposed me towards penultimate stress: compare vi'telline. In determining the word stress of words from Latin, you often have to count written consonants rather than spoken ones. 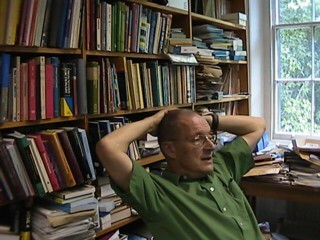 Even so, we see that stress patterns in -CCine words are chaotic. Inspired by reading Labov, I had carried out an afternoon’s fieldwork in Southampton inducing random informants to pronounce the words vanilla and ginger and recording the presence or absence of final r-colouring in their pronunciation of each. It was in reporting my findings that I wrote the words quoted. The existing American term, r-ful, obviously sounded rather awful if pronounced in an accent like mine. In due course the word was taken up by other phoneticians and sociolinguists. But now people are using my word in a different sense, which the OED has not yet caught up with. Ladefoged and Maddieson’s 1996 book The sounds of the world’s languages (Blackwell) has a chapter entitled Rhotics. They use the word as a noun. This chapter describes the class of sounds that are sometimes labeled ‘rhotics’, or more informally, ‘r-sounds’. Indeed, in his 1984 book, Patterns of sounds (CUP), Ian Maddieson was still calling them r-sounds. The term subsequently became established in descriptions of other Australian languages (which typically have two rhotics), and from there was taken up more generally. Bob Dixon was my colleague at UCL in the 1960s, and no doubt picked up the word from me there, although he then proceeded to use it in a different sense. Jarek Weckwerth writes about the pronunciation of Pantene, a brand of hair treatment products. It was one of the words I added to LPD when preparing the second edition, have now carried over to the third edition. I gave its pronunciation as ˌpænˈten, which is what I had regularly heard from British television advertisements for the product. Like this one. Jarek claims, though, that in American English at least it is pronounced ˌpænˈtiːn, and backs this up by reference to a number of American commercials on YouTube. It’s true: here’s one, which (when it finally gets round to naming the product) does indeed pronounce -ˈtiːn. There are plenty of others. This old (1980) British TV ad pronounced it -ˈtiːn, although the actress sounds American. Here’s an Australian ad, in which you can hear not only -ˈtiːn but also -ˈteɪn (unless that diphthong is a broad Australian version of the FLEECE vowel). It’s surprising that P&G do not enforce uniformity in pronouncing the name of the brand. But what a valuable resource YouTube now provides for documenting pronunciation! In future there’ll be less excuse for not covering the pronunciation of brand names properly. We just need to spend hours looking at video clips of commercials. Any volunteers for researching Hyundai? On the subject of phrasebooks (blog, 25 Aug.), Nigel Greenwood offers some frightful examples from a Berlitz two-way English-Finnish pocket dictionary. Bear in mind that you pronounce Finnish words exactly as they are written, with ä ö = æ, ø. Sample: syntymäpaikka (place of birth): sewn-tew-mæ-pighk-kah. What is particularly annoying is that Finnish readers are assumed, no doubt correctly, to be far more phonetically savvy: all the English pronunciations in the en-fi section are given in IPA. But things have changed. Just look at this scan of part of Saturday’s paper. The Czech Republic is no longer as far away and unknown as it once was, and the Czech language is not as impossibly exotic as was once the case. 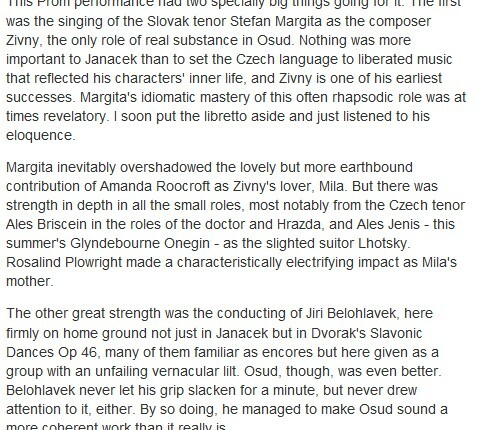 The Guardian can write such names as Janáček and Jiří Bělohlávek correctly, diacritics and all. Unfortunately, when we turn to the Guardian on-line version of the same story, we find that all the diacritics have disappeared, just as in the bad old days. Oh well, we have to be thankful for small mercies. I should have remembered that if I carefully (akribisch) follow the Duden Aussprachewörterbuch in discussing German phonetics I will undoubtedly receive reactions from speakers of Swiss and/or Austrian German complaining that I am misrepresenting their language. And so it is with my blog of 22 August. One jon.w wrote to me from Switzerland, and David Marjanović from Austria. OK, then: in Swiss German and in Austrian German aktive and nervös are, or may be, pronounced with f. But not Vokal. Apropos of my transcription of French (25 August) I have to point out that, following the IPA, I use the symbol ə flexibly, to cover various kinds of mid central vowel. OK again, then, David M.: yes, I am happy to agree that in French this vowel is rounded and a bit front. There’ve been some interesting postings elsewhere recently on the topic of how pronunciation is indicated in phrasebooks intended for travellers. Where are the bus [coach] stops? Où sont les arrêts de car? How long does the trip [journey] take? kawnbyang der tahng dewr ler vwahyazh? By following the respelling, non-rhotic speakers would read arrêts de car as ɑːɹeɪ də kɑː (or with æ for the first vowel), which is perhaps not too bad. 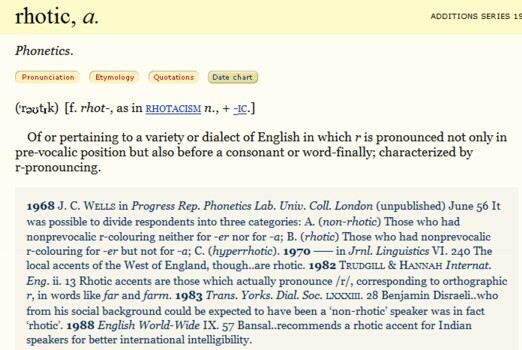 Rhotic speakers, though, would read it as ɑɹeɪ dɚ kɑɹ, in which the unwanted r-coloration of de is not good at all. 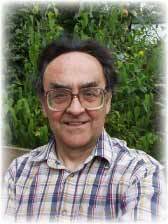 Now Victor Mair’s Language Log posting draws attention to an interesting article by Randy Alexander on the website Beijing Sounds. This concerns English phrasebooks aimed at Chinese users. Here is a sample phrase. The second line is the Chinese imitated pronunciation of the English phrase, repeated in the third line in Hanyu pinyin. In IPA that would be jesɯ ɤfu kaosɯ plus a lot of distracting prosody and alveolarization. In the original article you can also hear sound clips of the results. I find the whole phrasebook orthography situation pretty weird. It's another clear example of a situation in which providing English speakers with the rudiments of a linguistic education — in this case, a smidgen of basic phonetics and a bit of a clue about the IPA — would be useful in a seriously practical way. If that were generally part of the secondary education of most English speakers, phrasebook writers could stop inventing their own weird systems and standardize. It applies equally to Chinese speakers. Who Do You Think You Are?™ is a BBC television programme in which well-known personalities trace their ancestry. This week’s subject was Boris Johnson, the mayor of London. He discovered that his great-grandfather, who was Turkish, was stoned by a mob and stabbed to death. Boris also found that he is descended from King George II and so related to all the royalty of Europe. In digging up these facts he took us on visits to both Turkey and Germany. Being an educated chap, he can speak some German. Well, sort of. You can see and hear for yourself in this video clip. ... Natürlich Vater war Prinz Paul von Württemberg ...aha! ... ich habe der Mystery gecrackt! I’m not going to comment on the missing article and grammatical ending in the first sentence or the mock German of the last (which should probably be something like ich hab’s enträtselt!). What struck me was the baneful influence of the German spelling. Boris interprets the letter V in the English way, as v, instead of in the German way, as f. He pronounces Vater as ˈvɑːtə and von as vɒn. In real German they are ˈfaːtɐ and fɔn. Boris can never have heard any German speaker pronounce those words with a voiced fricative. He can be familiar with them only in the written form. The different spelling-to-sound conventions of English and German are to blame for his mispronunciation. Actually, though, the situation is slightly more complicated. Although German v stands for f in most words (Vater, von, verstehen, Vogel, Bevölkerung), there are a few words of foreign origin in which it stands for v. They include aktive akˈtiːvə, nervös nɛrˈvøːs and, importantly for phoneticians, Vokal voˈkaːl, the word for ‘vowel’. I have always wondered why the island of Antigua, named after the Church of Santa Maria de la Antigua in Seville and so much in the news recently for tragic reasons, is pronounced without the w that one would expect of a Spanish word: an-TEE-guh (forgive Mickey Mouse phons). Apparently the town of Antigua in Guatemala is indeed pronounced an-TEE-gwa. I can't see why the long-standing British influence would have deleted the w, since if anything it tends to add a superfluous one even where the orthographic u precedes a weak vowel, as in the common mispronunciation of "Miguel" (eg Indurain the cyclist) as mig-WEL. This is a good question. I don’t know the answer, and I don’t know where to look for it. There is no doubt that we Brits, like the locals, overwhelmingly say ænˈtiːgə for the Caribbean island. North Americans, it is true, sometimes come up with ɑːnˈtiːgwɑː (or -gwə), but I tend to think of that as in the same category as pronouncing Leicester as ˈlaɪsestər — just a funny spelling-based American mispronunciation. Antigua’s twin island is Barbuda, pronounced — by those who are familiar with it — as bɑːˈbjuːdə. It tends to crop up mainly in the official name of the country, Antigua and Barbuda, and in the Olympics coverage this week I have several times heard it pronounced without its jod as bɑːˈbuːdə, which is what it would be if it were Spanish-speaking and not just Spanish-derived. Miguel is indeed miˈgel in Spanish (or allophonically miˈɣel). But Spanish gu stands for plain g only before the letters e and i; before a and o it stands for gw. Accordingly, as a Spanish word antigua is anˈtiɣwa (it is the feminine form of the adjective antiguo anˈtiɣwo). We preserve this w when we anglicize the names Paraguay, Uruguay and Guatemala: so why do we treat Antigua differently? As I say, I don’t know why, but we do. Those who follow the Olympics will have noticed that one of the classes of sailing boat competing there is an yngling. This was one of the words I added to LPD for its new (third) edition. You won’t find it in many other dictionaries, though a praiseworthy exception is the OBGP. Yngling gets over a million hits on Google. The original Ynglings were the oldest known Scandinavian dynasty, part historical but part mythical. As a Norwegian word it would presumably be pronounced ˈʏŋlɪŋ, i.e. starting with a close front rounded vowel. But now the name is applied to sailing boats. There is an International Yngling Association, which according to Wikipedia describes the boat as an “agreeable cross between a planing dinghy and a keelboat”. Apparently the designer, Jan Herman Linge, wanted to build a keelboat for his young son, and named it Yngling, the Norwegian (and Swedish) word for “youth, young man”; the name is unrelated to the dynasty, the House of Yngling. Etymologically, the word would correspond to English young plus the -ling of weakling, duckling. And how do we pronounce it in English? Like OBGP, I show it as ˈɪŋlɪŋ, and I believe this to be the usual pronunciation among those who sail that kind of boat. But I heard an enthusiastic TV commentator call it a ˈjɪŋlɪŋ. You can see how this pronunciation might suggest itself to an English speaker unaccustomed to the idea that y at the beginning of a word could stand for a vowel. delighted to see that the ancient art of yngling has at last been recognised as an Olympic sport. I can’t wait to see how we Brits fare in the tongling and tiddle I pogling events. 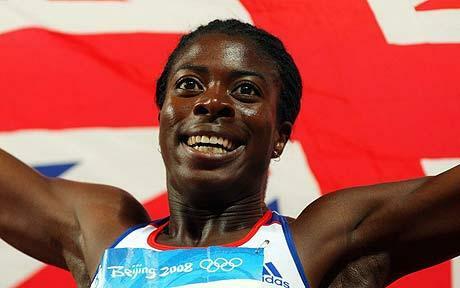 Congratulations to Christine Ohuruogu, who gained her BA in Linguistics at UCL and has just won the gold medal for the women’s 400m. I’ve written about eighteenth-century hymnody before (blog, 16-17 January 2007). In addition to their other merits, these hymns often bear witness to changes in English pronunciation. I haven’t conducted any preference polls for the noun perfume, but I am sure that pretty well all Brits today, and most Americans, stress it on the first syllable, ˈpɜːfjuːm. Yet in Isaac Watts’s hymn Jesus shall reign where’er the sun it has to be stressed on the second syllable. The two hymns were both originally very long, and nowadays we leave out these particular verses, along with many others, not just because of stress changes and to shorten things but often because of modern sensibilities. No wonder we don’t sing those verses nowadays. Being a function word, would is usually unaccented (and often reduced to ’d). They 'said they would 'meet us at the 'airport. 'What would you 'do | if you 'won a 'million 'dollars? In 'those days | they would 'sit out in the 'garden. If 'I were 'you,| I’d 'go and ask at re'ception. In clause-initial position, though, it is optionally accented (see my book English intonation, page 238: “In yes-no questions, accentuation of an initial auxiliary or modal verb is optional”). (')Would you 'like some 'coffee? (')Would you be 'interested in 'joining us? (')Would they a'gree, do you think? However I have noticed one usage in which would seems to be obligatorily accented. An example is in this complaint about a sudden change in the weather, which I found myself saying the other day. It \would start raining | 'just as we went out˅side! This is paragraph 11, TYPICAL BEHAVIOUR, in the LDOCE entry for would. The following examples don’t sound right unless you accent would. You 'would go and ˅spoil it, | \wouldn’t you? She 'would say ˅that, | \wouldn’t she? (?) You’d go and ˅spoil it, | \wouldn’t you? (?) She’d 'say ˅that, | \wouldn’t she?